I love guava in all its forms, but they can be a hard sell. When I was in college and brought back guava pastries from home, I could see my friends’ initial enthusiasm for an authentic Cuban indulgence give way to politeness with the first taste. Rich and sweet, they’re not for everyone. That’s why I was excited to see a recipe for guava sorbet included in Kate Zuckerman’s The Sweet Life: Desserts from Chanterelle, one of my favorite dessert cookbooks. I’d been looking for guavas all winter, but only found them a few weeks ago during a market tour in Chinatown. Less fragrant than red or strawberry guavas, I almost passed them by. Left to ripen for a few days, they made a refreshing sorbet, not at all too rich or sweet by any standard. 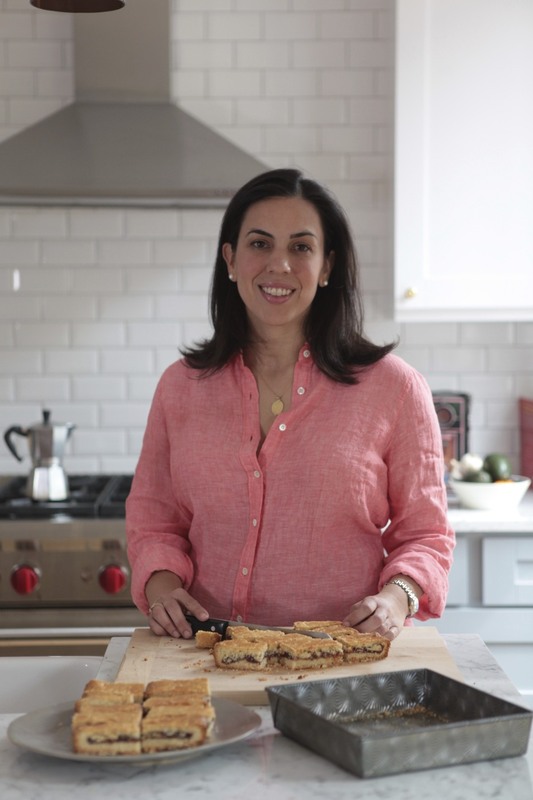 This recipe is adapted from Kate Zuckerman’s The Sweet Life: Desserts from Chanterelle. Peel the guavas and chop into 1/2-inch pieces and set aside. In a heavy saucepan, bring sugar and 2 cups of water to a boil. Add the guava to the syrup and lower heat to a simmer. Stirring every five minutes, simmer until fruit is falling apart and separates from the seeds, about 30-45 minutes. Remove from heat. 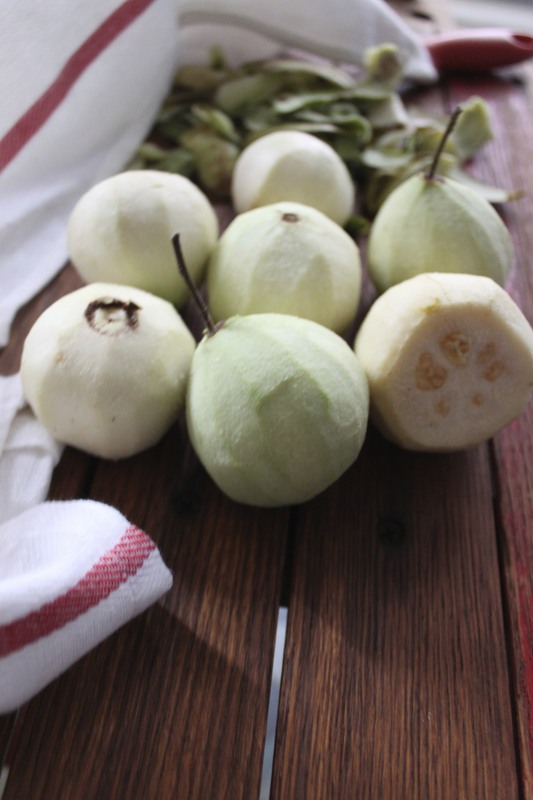 Pass the guava through a fine mesh strainer or food mill into a stainless steel bowl. Discard seeds and pulps. Add the lime juice to taste. Chill for at least 2 hours or overnight. Freeze in ice cream maker per manufacturer’s instructions until firm. Pour into a freezer safe container and freeze for four hours. Yields 1 quart churned sorbet.